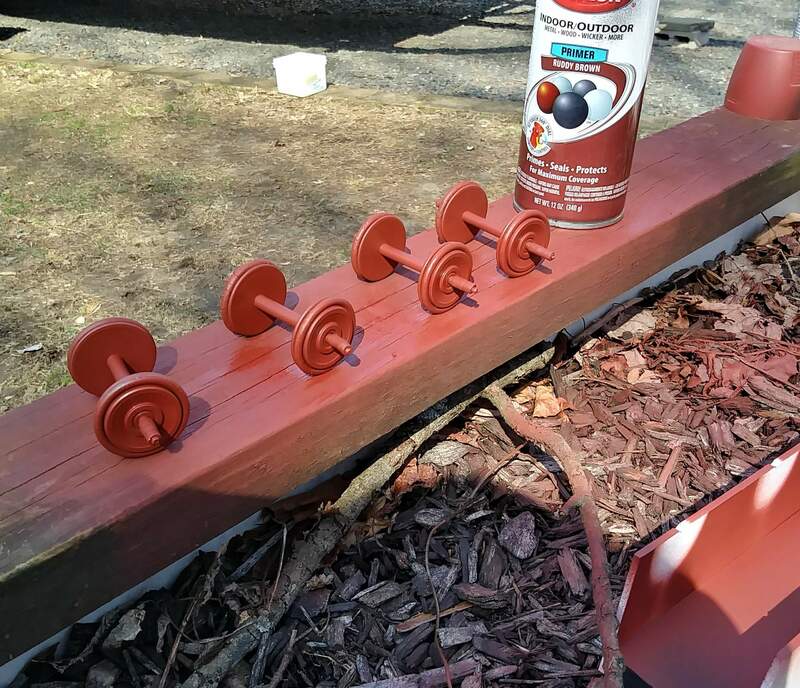 I use Testors rust to paint the outside of the wheels. 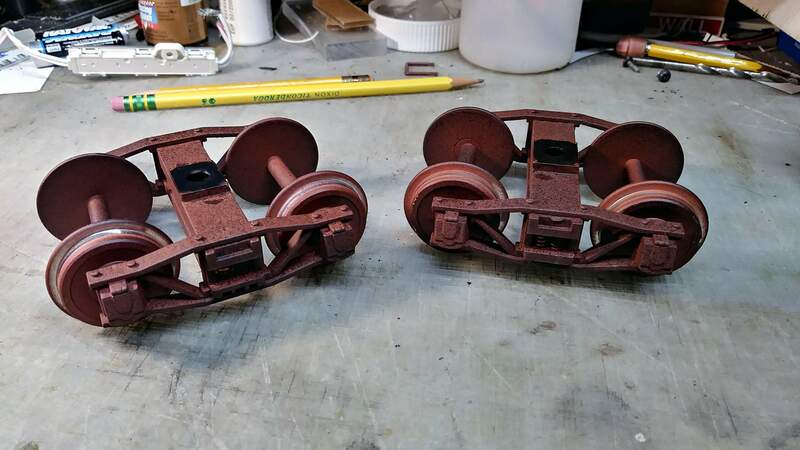 Do ya'll paint the locomotive wheels also? The black tones down the red a lot. I have an old spike that I use a a color guide. My ruddy brown / black mist is dang near dead on when done right and I do it right about 60% of the time. I agree, when done right it can look real good. I use the Earth Brown Camo paint as a base coat . Not as red .. they have some cool colors . ultra flat finish .. I also just used an elastic to mask the treads .. and Vaseline to cover the shaft ends. poked into some card board .. sprayed them flipped and done again .. I just mix up some acrylic paint (brown, black, grey) to an appropriate color, load up a brush and spin the wheels in situ as the brush puts the color on. My masking jig. 3D printed using flexible filament. Gee, I just mask the axle ends with some 1/4 wide masking tape, and then paint the wheels the same as you did. 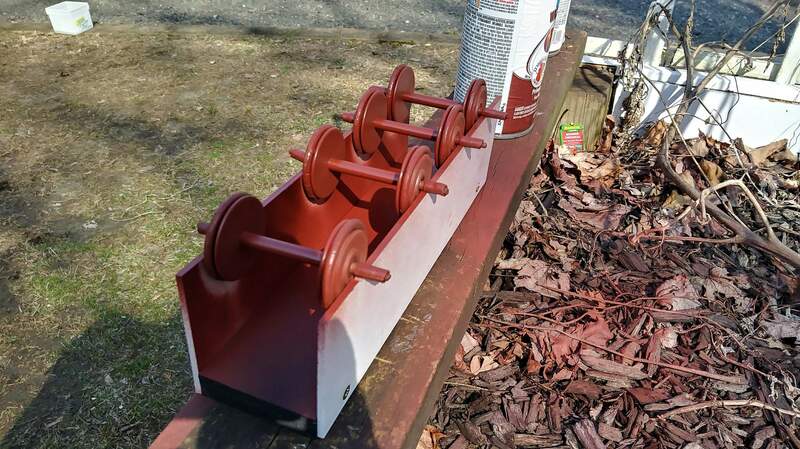 After an hour or so of running on the railroad, the wheel treads are clean. Hey, now that is an idea! Think it is time to find the "save page as" key. I originally posted this method on MyLargeScale possibly 15 years ago. That post and the photos are long gone :( I needed to paint a bunch today - so I took pictures to put the method back out there again. 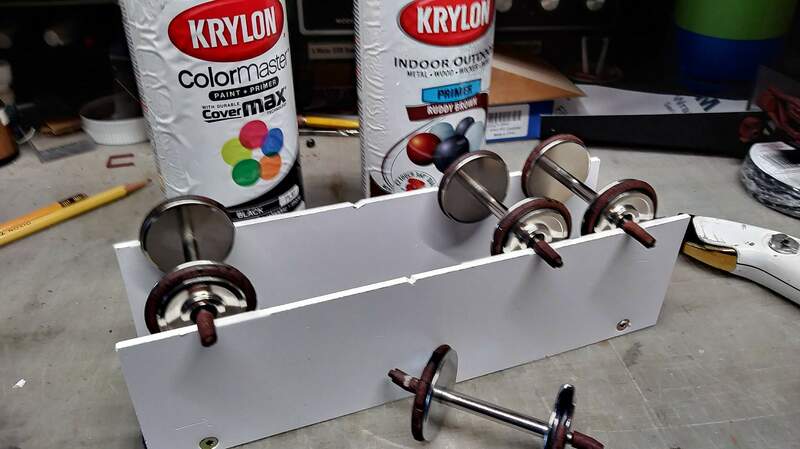 I am using Aristo chrome finish metal wheels, but this method would work for any brand / color. 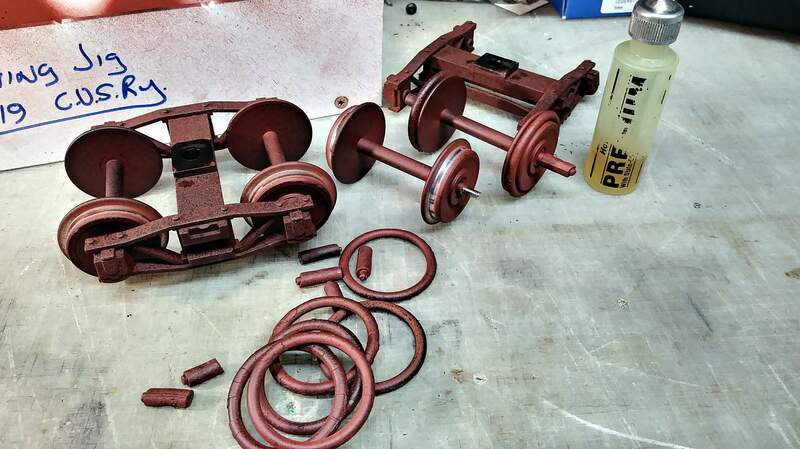 Before coming up with this method I used to paint everything then clean the axle ends and treads with lacquer thinner. This is much faster and lots less exposure to nasty fumes! 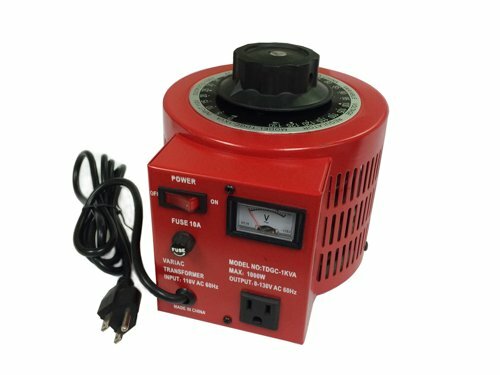 Devon, once you set the speed close to what you want with the pulleys/belt, you should be able to adjust the speed with a variac. As a PS to Ross, mine is the square aluminum stock bed... in red as Devon pictured. edit; also German or Austrian make, a precision toy. 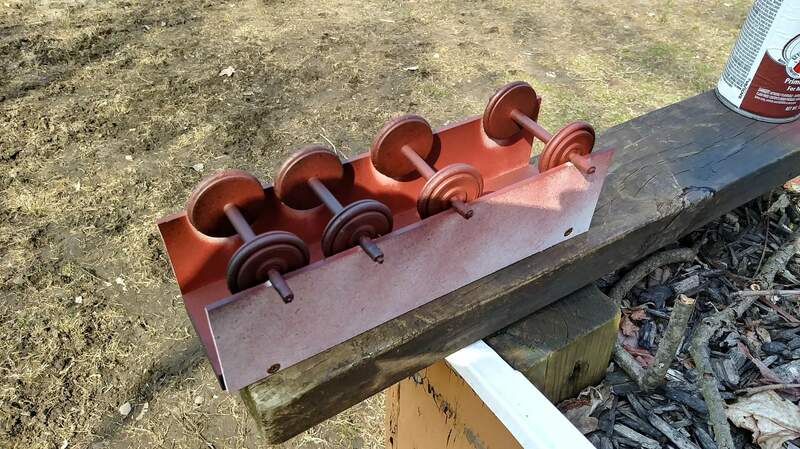 I turned a 4" On3 hollow boiler, in wax for casting. It did what I wanted to do. 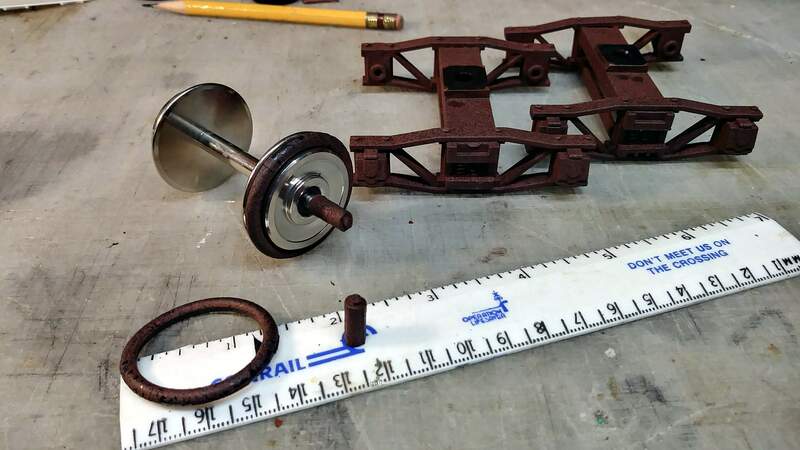 Turned up parts for live steam 3.5 inch and some for a 5 inch loco...Could remove the motor and fit to a pillar turning it into a drill/milling head.also came with a fitting for a sturdy jig saw.. Still have it. Probably cost an arm and a leg today but some small ( altho expensive ) all metal precision lathes are still around. I recently saw a 2nd hand Unimat 3 for sale at a 1/3rd more than I paid for mine new! I would suggest if you see an all metal one for sale..snap it up! Probably be a good investment!! (Just noticed Bruce's Proxxon drill stand...Yep..nice tools. Their table saw is quite neat. I have a Grizzly mini mill and mini lathe and generally happy with both. 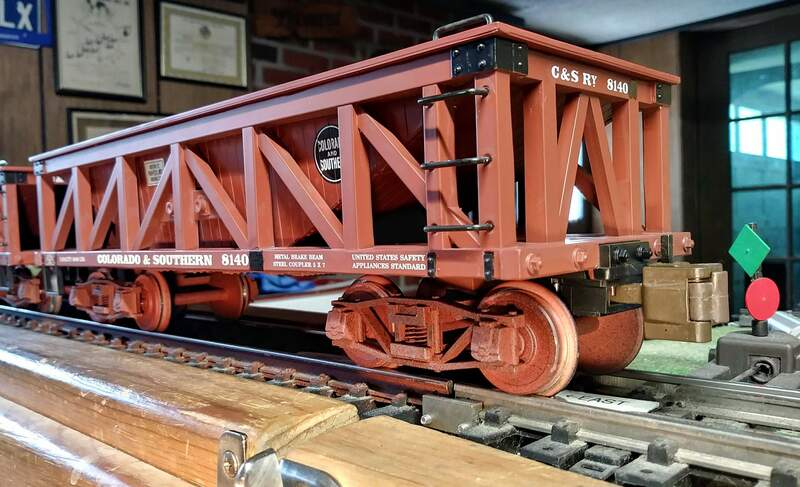 I bought them at a Grizzly store that was in Muncy, PA near Williamsport while on railfan trips with club members. Years back I had bigger machines but wasn't using them much so I sold them. If you are interested in these machines, LittleMachineShop.com has great support for this group of machines and some newer units that have come out. I have many upgrades on both machines which came from littleMachineShop. I do like the variable speed that both machines have. I have both machines on stands that came from Grizzly and I can move them around my shop as needed. they do now offer auto feed on newer machines. I agree that the hole thru the headstock is a limitation. when you need to hold larger items you use the outer ends of the jaws, typically by machining features in them to hold the part. that is why they are "soft jaws". if you need more space vertically the do offer riser blocks for both headstock and tailstock. Actually the biggest limitation I have had to work around is the limited cross slide travel. That is the machine I have. No auto feed. This means you can't cut threads. The bore through the head stock is only about 3/8th (too small). The 3 jaw chuck (I also have a 4 jaw) is too small. The swing over the bed is too small (see above). 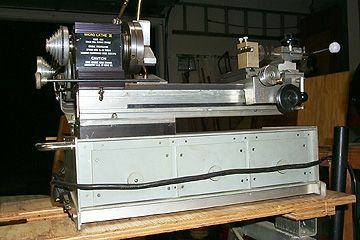 I semi casually check estate sales for machine tools, but I doubt I will ever have the room for a mill or a lathe. I thought I also have been told that if you can only buy one machine, buy a mill. A mill with the proper tools can do the work of a lathe, but you can't do it the other way around. You probably posted this prior to me posting the milling attachment for the Lathe. 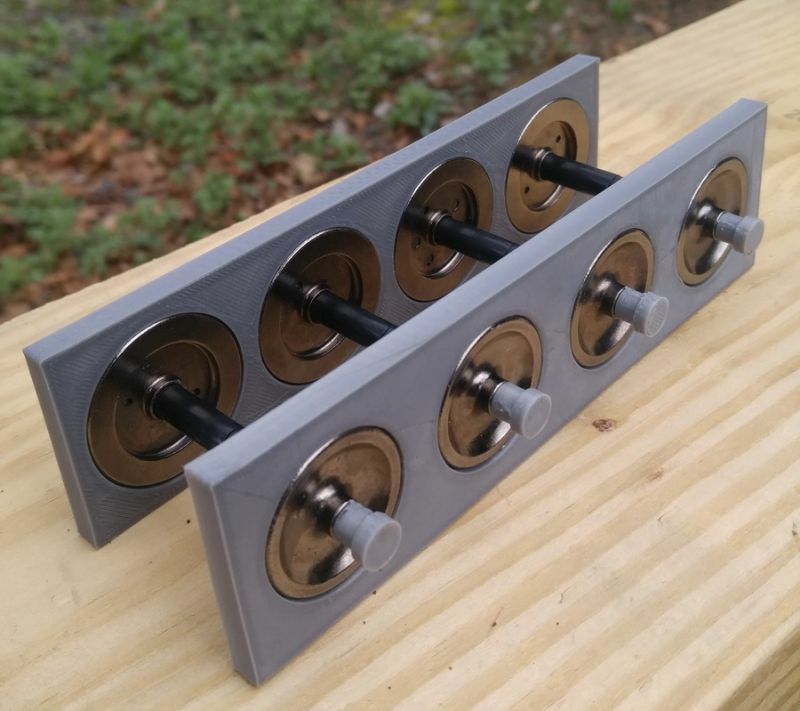 But with a 68 dollar add on you can do some basic milling.